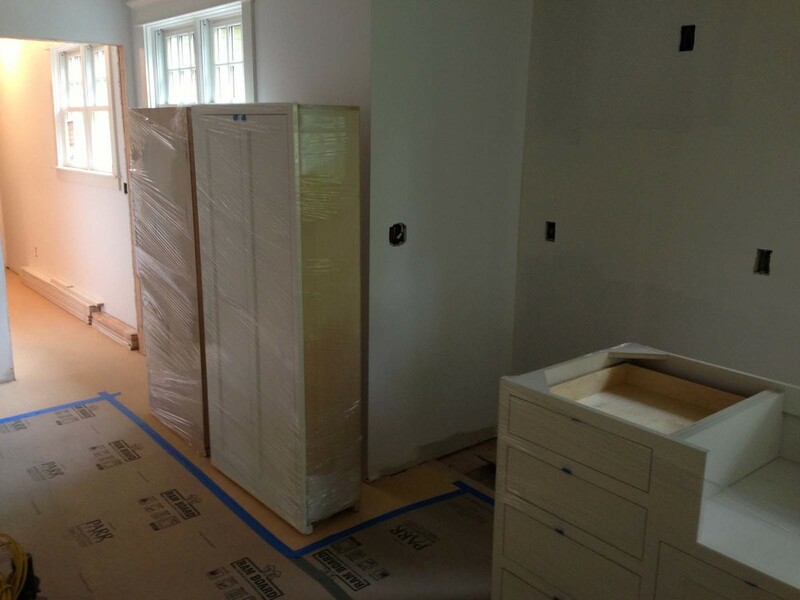 Work is progressing well on our latest remodel, a new kitchen / pantry / mudroom / office near Council Crest. For the last few months we have been busy demolishing walls and framing new ones; moving mechanical ducts and equipment; installing new plumbing and electrical; hanging sheetrock; and laying new floors. It is an intense process, but always hugely rewarding to see a design leap off of the page and into reality. 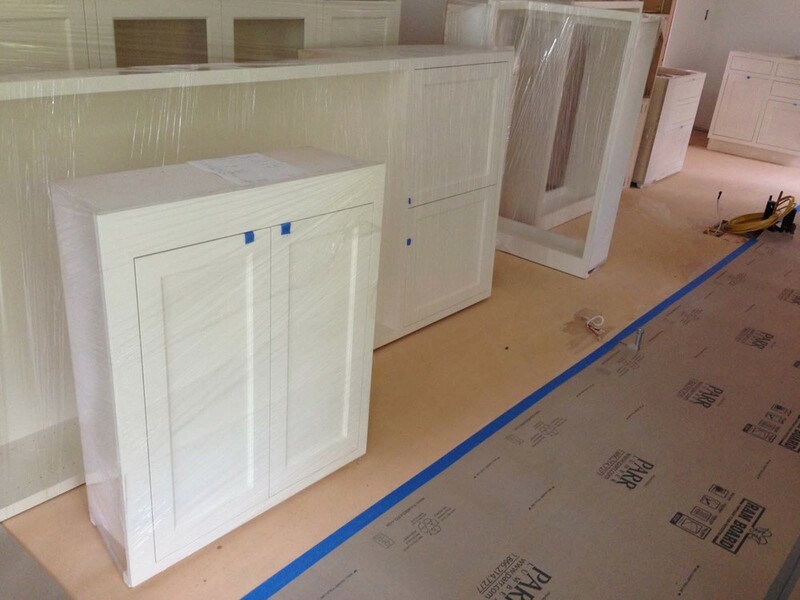 While we were doing this work in Portland, the cabinet makers in Eugene were busy building the cabinets, which arrived on site this morning. Everything we do is totally custom, and designed specifically for the clients we are working with. Early on in the design phase, we will concentrate on general issues, such as overall layout and locations for major appliances. Once this is settled, we begin to get into more detail, and often work out what each and every drawer is going to be used for, and how large it needs to be as a consequence. While we are doing this, we are always thinking about how these cabinets will physically be built and transported to site. A good rule of thumb is that nothing should be longer than 8'-0", which is a standard dimension for a sheet of plywood. 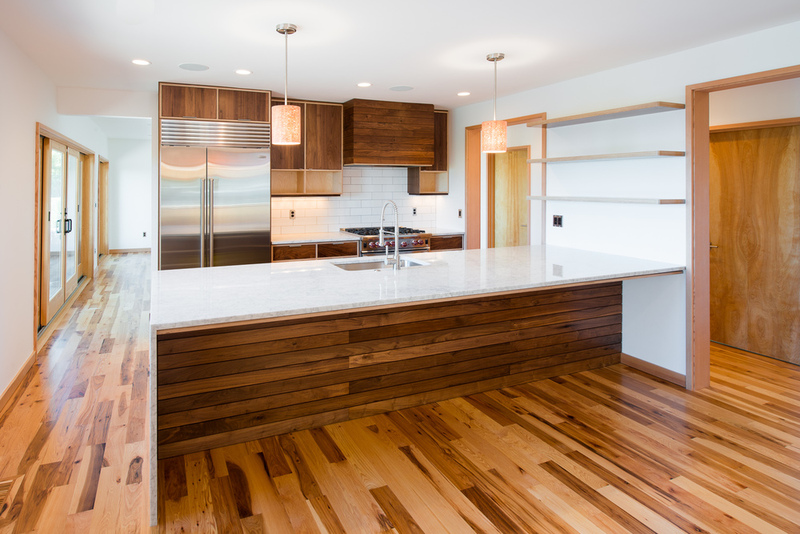 In at least one direction, the cabinets should be smaller than 30", so that they can fit through a standard width doorway. Many banks of cabinets are larger than this though. 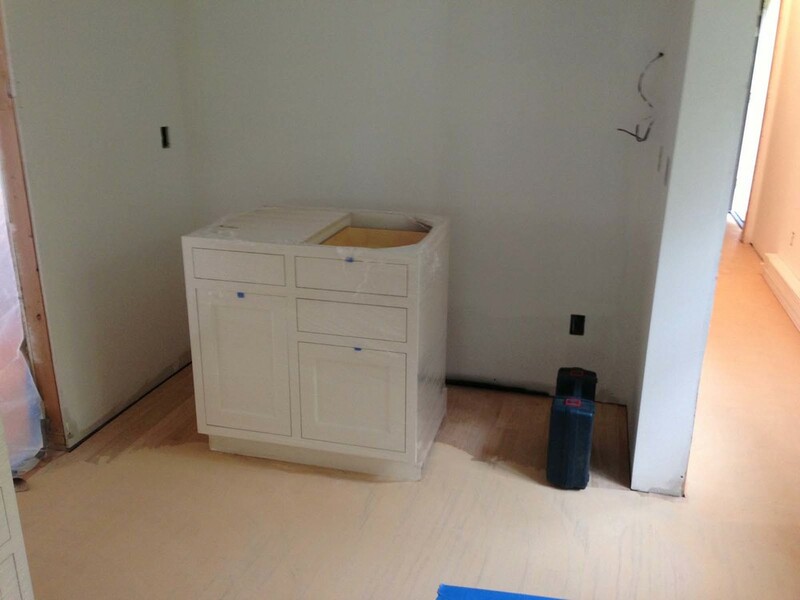 At the Fairmount Boulevard house, the kitchen island, for example, will be 18' long and 4' wide. We therefore work out ways to break this down into smaller components, in a way that will look deliberate in its finished configuration. 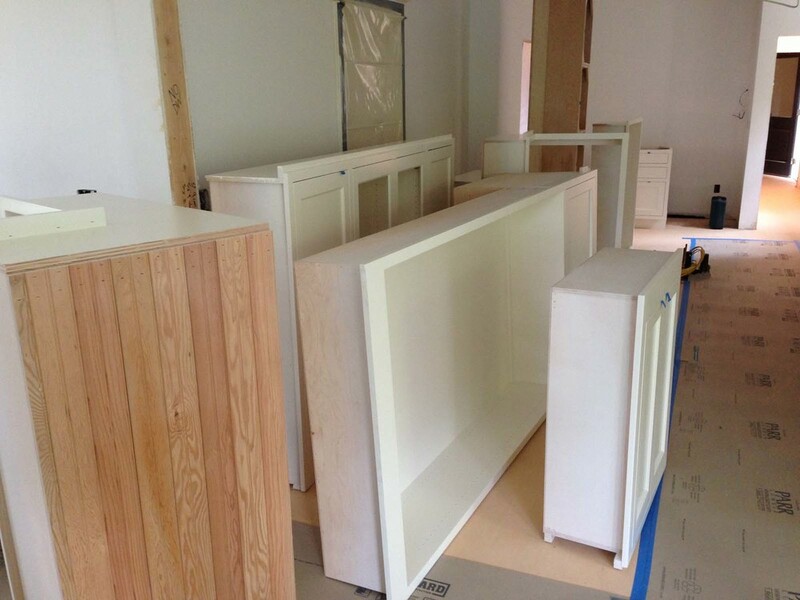 This is how the cabinets arrive on site, as seen in the photos above, before they are installed. 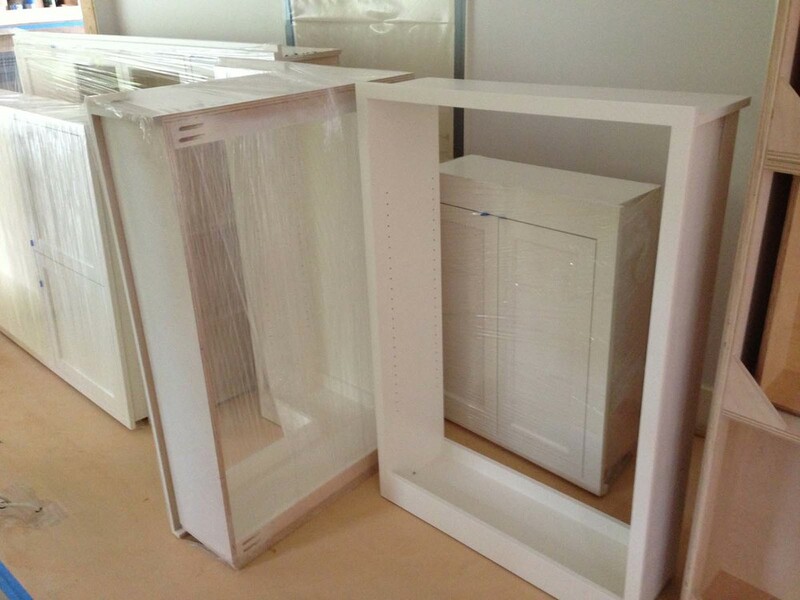 As we have mentioned before, assembling these all on site is a bit like a game 'Tetris', and there's often little room to maneuver around the cabinets. There is a lot of work involved in the install, particularly when everything is designed for tolerances to an 1/8". The effort required, however, is worth it. We recently got started on construction of a new kitchen / pantry / mudroom / office at a house off Fairmount Blvd, near Council Crest. 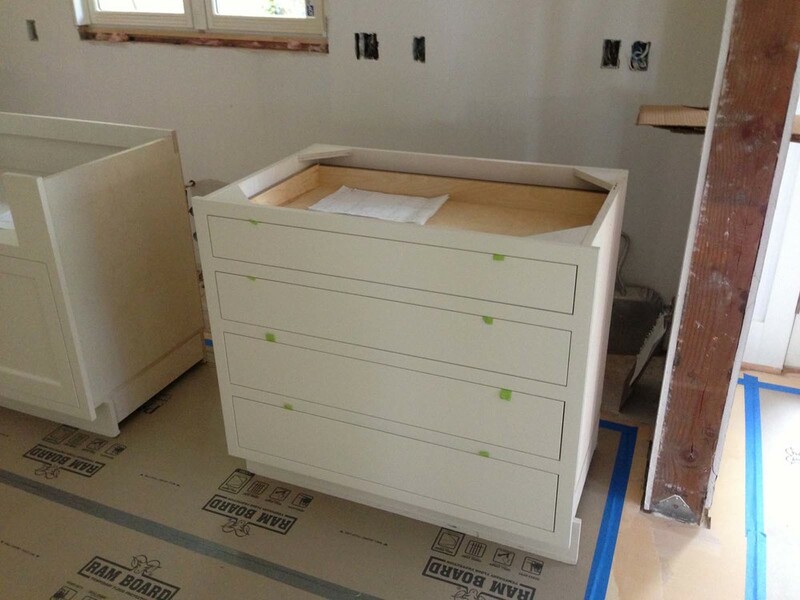 Our cabinet makers, Skyline Fine Cabinets of Eugene, sent us some progress photos of the cabinets. The cabinet construction is a traditional face-frame style construction, with flush inset doors and drawers, which suits the traditional form house they are being installed in. 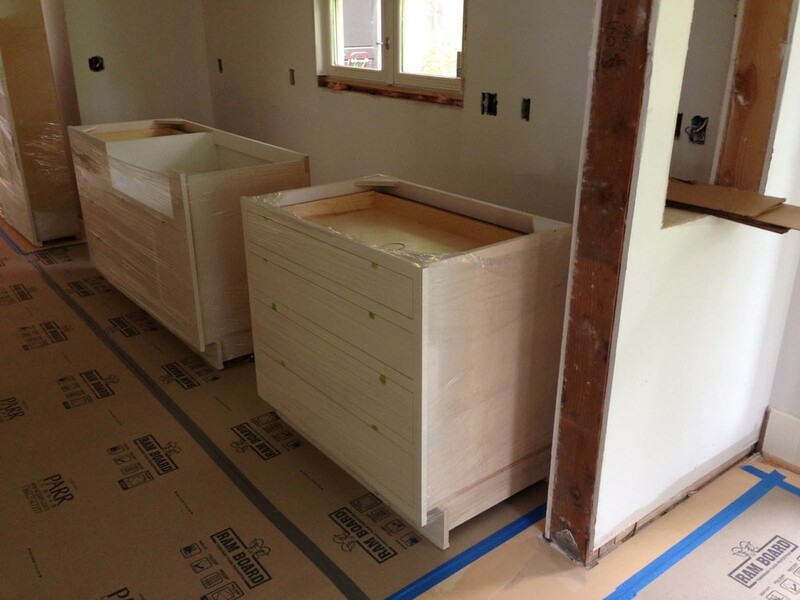 These walnut-faced cabinets will form part of the kitchen island. 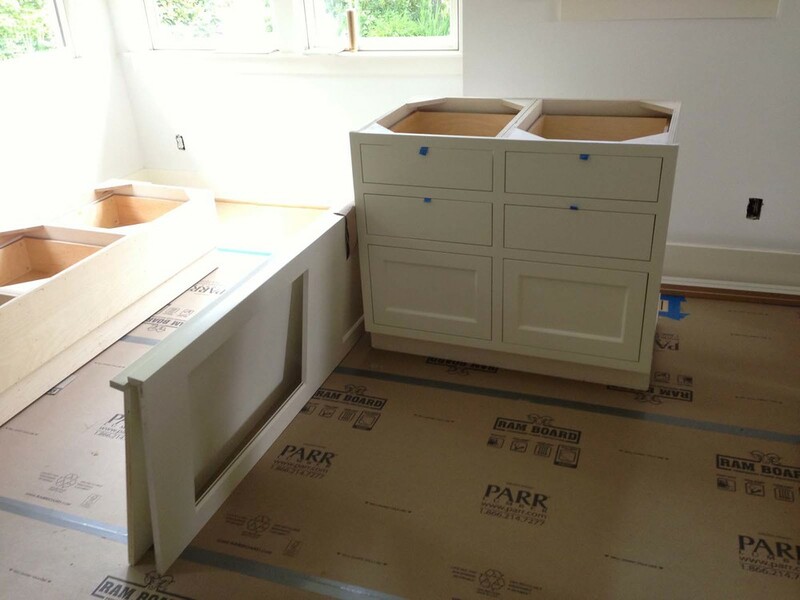 These cabinets will form part of the pantry and the office file-drawers, and are due to go to the paint shop soon to receive their finish.